Laminating in Cirencester By Busy Fingers : Busy Fingers 01285 656757 Printers in Cirencester. Laminating Gloss or Matt in Cirencester. For providing you with superior quality service BUSY FINGERS COPYING & PRINTING in Cirencester uses the latest equipment. All the requirements of the customers, however demanding they may be, are met successfully. Let our experts help you with your laminating needs. Your important papers, documents and posters can be preserved and protected easily with lamination. For answers to your queries and to get free quotations contact us on 01285 656757. Get Introduced to Laminating in Cirencester Glos. Do you want to protect and prolong the life of your special documents or a photograph? The best way to do this is to go for laminating. A wide selection of flat materials can be thus properly protected and sealed. Lamination provides the final touch in gloss or matt to the printing process. In Cirencester have a look at the various laminating options. Applying a film of plastic on the surface of any item is known as laminating in Cirencester. In the case of a laminated print, the print is enclosed between two clear protective films. The process encapsulates the item completely by bonding the sides of the plastic covering together. You use heat or pressure to seal both sides of the film. The process is permanent and cannot be undone. For laminating various items in Cirencester two types of machine are used. You can choose between the pouch laminating machines and the roll laminating machines. It is simple to use the pouch machine, especially for smaller projects. 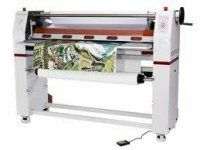 Roll laminating machines are various, for example some are designed for schools and some are heavy-duty machines for commercial purposes. Both machines are safe and ideal for use in offices, schools, factories, and many other places.